1. Learn how to import an email list as well as how to add individual addresses to any tag, sequence, and/or form. 2. Adding a countdown timer to your emails to create scarcity using motionmailapp.com. 3. 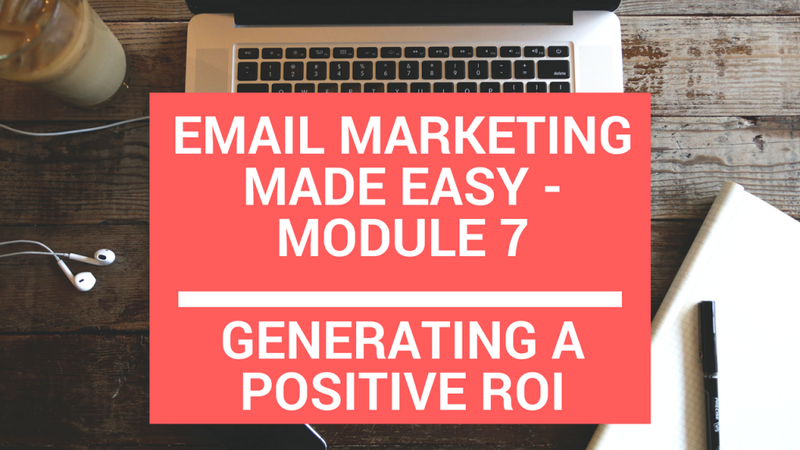 How to generate a positive ROI from your email list. 4. Discover how to change the email template for different headers and footers to include social icons and whatever else you’d like to show up in all of your emails. 5. Learn how to deal with cold subscribers including how to re-engage them and if necessary, delete them. 2. Import an email address you use into a tag and sequence. If you already have a list somewhere else, import the .CSV file into a tag and sequence. 3. Create a broadcast email and add a countdown timer from motionmailapp.com. 4. Change your template to include the social media icons you use using the document below for the text. Make sure you change the URLs to reflect your own social media links. 5. Create a segment for your cold subscribers and a cold subscriber tag. 6. Create a Cold Subscriber sequence to be used at a later time.